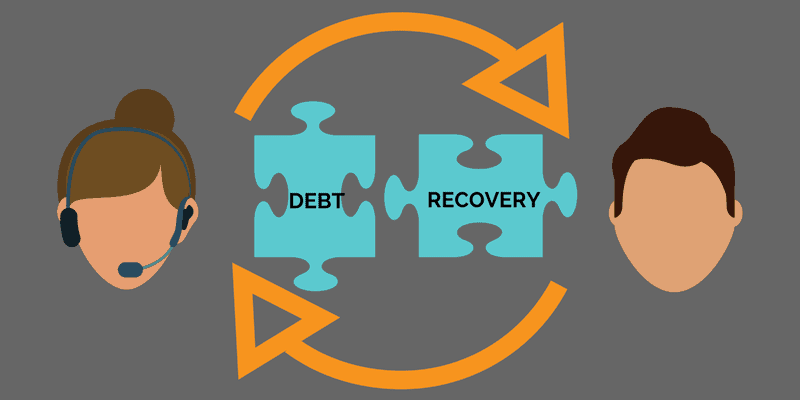 Now that we have seen that an integrated dialer can not only bring sales acceleration activity thanks to a higher quantity of outbound call, it can also help increase your customer retention, we have to consider a more mundane topic: debt recovery. Well, that does not need to be the case. As we’ve discussed previously, good debt recovery practices can actually improve your customer relationships. In a lot of cases, the debt situation has arisen through oversight; 41% of customer debts come about because the customer forgot to put payment provisions in place. Whether or not that’s the case, customers need more support with debt scenarios than with practically anything else. Nonetheless, these are the situations where businesses are most likely to fail. Customers who feel let down with your support are likely to leave you, and the ones who don’t, reduce their spending by a third. If that happens, you’ve achieved sales deceleration. So it might be more useful to think of the task as how to encourage good payment practice as opposed to how to recover debt. Success in this task, when dealing with large numbers of customers, is dependent on how well you have integrated your processes with the customer interactions and calls. My experience is that a deeply integrated dialer helps to prevent late payment issues by scheduling contact before debts get out of control. Anyone who’s ever had notice of an overdue payment has been advised, “pay now, don’t let the debt build up”. It’s sound advice, yet a lot of businesses don’t follow it, and let debts grow without informing customers. The first reason why teams fail at this is often directly related to the poor capability to automatically create and schedule the contact requests. The second reason is limited ability to attach correct and up-to-date data with these contact tasks. Now there ARE other causes: poor training, poor monitoring and intervention, etc. But the key thing is that if you do not solve the first two, then you will be just spinning your wheels in the mud when trying to address any other cause. You got to have solid automation capability with integrated data as your solid ground to stand on. I always say to anyone grappling with this problem: tackle the core integration and automation capability first. Integrating a dialer and task assigner with all the other tools in the process will actually very rapidly hunt down all the little holes in your processes and data.